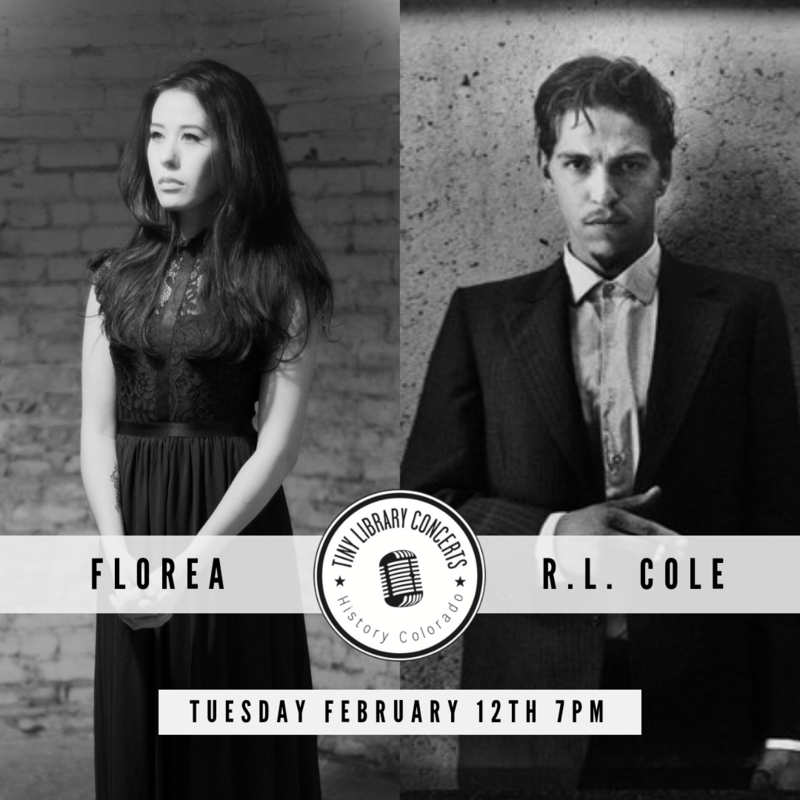 R. L. Cole weaves a retro style and tone with an electric, energetic howl and unique, wild performances. It’s a hard-to-match mix of up-tempo primitive rock’n’roll, early psychedelic and blues ballads. Etched into the ebbs and tides of Florea’s dark and delirious Americana rock is a traveler’s wistful longing. Spinning tales from desert dreams to sinners in the swamp, Florea’s songs of honey and venom are just that: both sides of the coin, light and dark, lost and found. History Colorado’s Tiny Library Concert series is generously supported by Airshow Mastering and features Colorado musicians in the intimate space of the museum’s Hart Research Library.